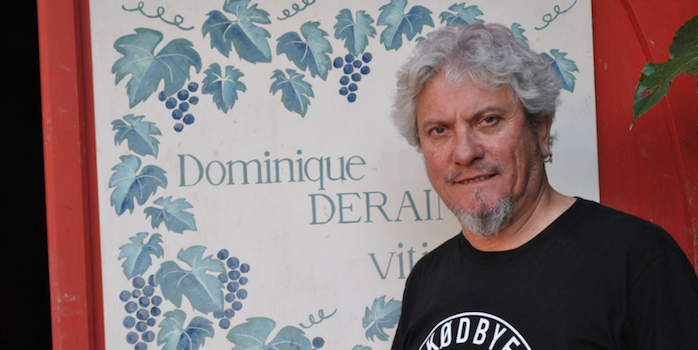 Dominique Derain has farmed vines and made biodynamic wines in his estate located in the old presbytery in the village of Saint-Aubin (Hautes Cotes de Beaune) for thirty years, ever since he bought the estate in 1988. Before being a vigneron, he was a cooper. He is now retired, but has passed his estate on to Julien Altaber and Carole Schwab. He still helps them out in the vineyard and in the winery. Now that he is “an old man” (his own words) and has so many years of experience farming and making wine biodynamically, he regularly receives requests from many vineyard owners throughout the world to vinify wines for them. Dominique enjoys these challenges at this late stage in his life. He met the Chilean vigneron who farms these Pinot vines, one Julio Denoso, through a mutual friend who owns a wine and photograph shop in Paris called Faute ‘O Vin. The friend took Julio to visit Dominique; Julio tasted the wines and proposed to Dominique that he come out to Chile to vinify some of his wines there. A firm friendship has now been forged (Dominique refers to it as “une histoire humaine très sympathique”). This north-east corner of Casablanca region is only 20 minutes from the ocean, benefiting from relatively mild temperatures, and decent rainfall. The young Pinot vines are planted on terraces at an altitude of 350 metres on granitic-clay soils rich in manganese, and farmed biodynamically. The grapes for Las Nubes were manually harvested at night to retain acidity, whereupon Dominique did a saignée of the grapes destemming 60% with the remainder whole bunches. Transferred to a cuve tronconique béton, the wine was macerated with skins overnight, whereupon 7hl of juice was drawn off. The wild ambient ferment proceeded in a cement egg, then free-run juice and the press juice were blended and transferred to 40-hectolitre stainless steel vat with adjustable lids, and containing an air chamber, where the wine subsequently spent a further three months ageing and completing its alcoholic fermentation. With its delicate extraction, we are reminded of a really cracking Beaujolais, a kind of Pinot-primeur. Las Nubes was bottled without filtration and fining and zero sulphur was added. The lab analysis gives a total SO2 OF 0.001. You can taste it! The name means “the clouds” and it’s derived from the name of the area in which the vineyard called “Montsecano” is situated. 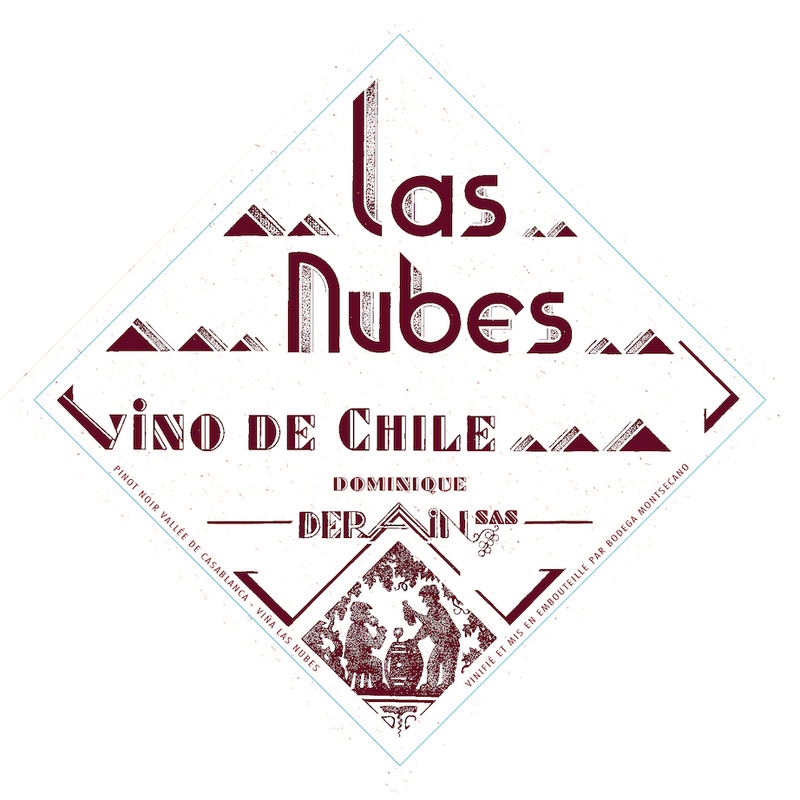 The owner of the vineyard (Julio’s uncle) asked Dominique to put the name Las Nubes on the label. A delightful light red, closer to a mid-rosé in colour, with lifted primary red fruit on the nose and on the palate. With its delicate extraction, we are reminded of a really cracking Beaujolais, a kind of Pinot-primeur.